For students new to Nose Work or former Intro to Nose Work students. Shelley's entry into the world of Dog came in 2009 when they got a dog for her daughter. Joey quickly became her project and her heart. He is a true terrier and they stumbled upon Earthdog as their first sport and it turned out to be his first passion. Learning to help a dog work to its best instincts and being able to observe that growth is addictive for Shelley. She added Barnhunt to their repertoire in 2013, again enjoying the opportunity to encourage the dog’s natural instincts in a safe and fun environment. 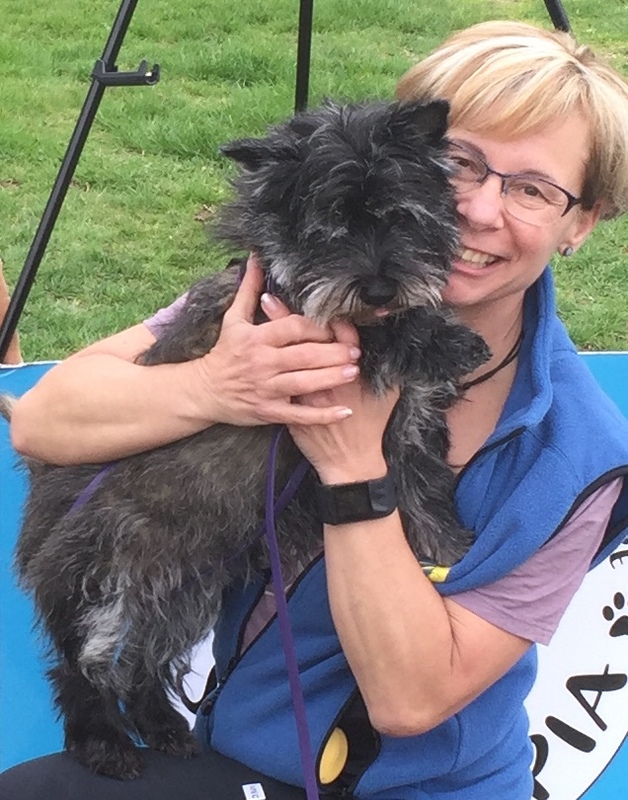 She also started K9 Nose Work in 2013 with both her Cairn Terriers, Joey and Indigo, and they have come to love this sport even more as an excellent opportunity for all dogs to be able to explore what they are all built for – following their nose. Anytime. Anywhere. No special gear, no specially designed course. She is also involved in tracking, agility, rally obedience, trick work and having put a total of 95 titles across six of these disciplines to date on her two dogs. (64 from Nose Work) and is a judge for Nose Work and Earthdog, as well as being a member in good standing with various different canine organizations. Joey and Indigo were each also presented with their Cairn Terrier Club of Canada Versatility Award in 2015. For current Intro to Odour and Continuing Nose Work students as well as former Intro to Nose Work students. Lia is an Certified Nose Work Instructor, by the National Association of Canine Scent Work (NASCW). She is currently training 3 dogs in Nose Work and competes in trials in Canada and the US. Lia takes part in many Nose Work instructional and fun events to build her experience and knowledge. In addition, Lia is an AKC and CKC earthdog judge, exhibitor and coach. Earthdog is much like Nose Work in that it takes advantage of the dogs’ natural instincts and abilities. Lia has a great deal of experience helping terriers and dachshunds discover their innate abilities. Currently, she has also participates in Competitive Obedience, Rally, Agility, and Therapy work. She has also taken part in herding, draft, and retriever hunt tests. Lia currently has a Labrador Retriever and two Border Terriers. In between turns dogs are required to be crated or in your vehicle, no exceptions. This allows all dogs to be able to participate in class. Unfortunately we cannot accommodate dogs who are aggressive towards people. Class length: 1.5 hours every week for 6 consecutive weeks.